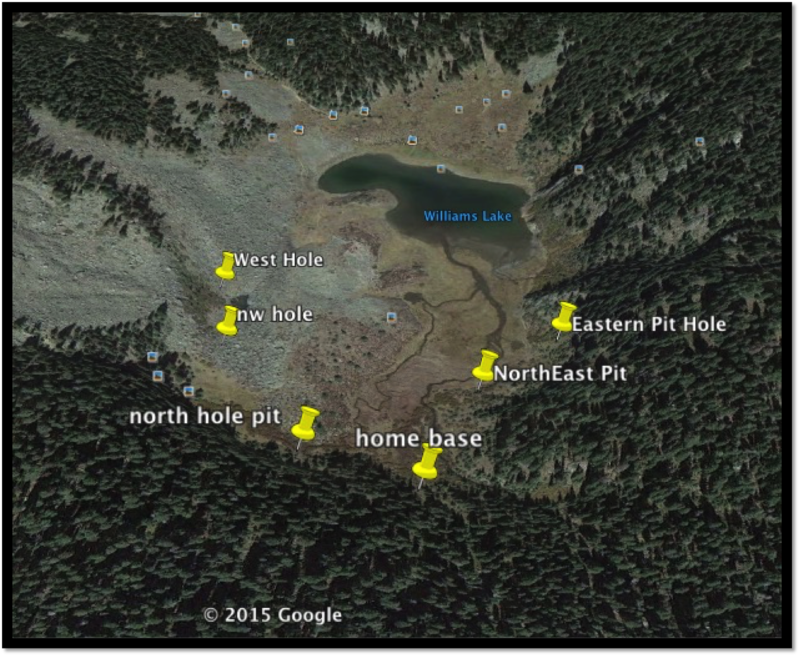 Williams Lake is in the Wheeler Peak Wilderness Area of Carson National Forest. In 1964, 6,051 acres were protected in the original Wilderness Act, making it among the first officially designated Wilderness Areas. In 1980 the area was expanded to 14,700 acres in the New Mexico Wilderness Act. Williams Lake is an especially popular recreation location. Every year thousands of visitors travel into the wilderness for recreation and enjoyment. We are fortunate to have this area of public lands designated where we can do this kind of research and we need to learn more about the physical aspects of our Wildernesses so visitors can enjoy their immense beauty safely. 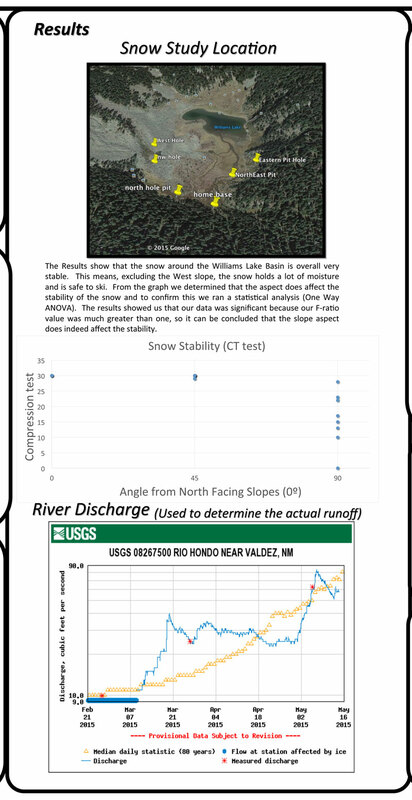 Williams Lake map showing slope faces studied. 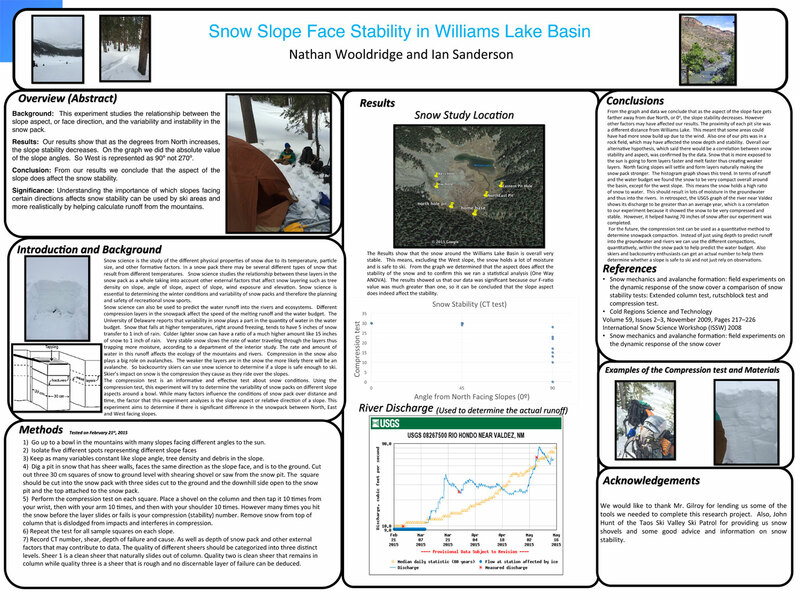 Nathan Wooldridge and myself are both seniors at Taos high School and we did this project for an independent research project for our environmental science class. Since both of us are skiers we figured it would be interesting to do a project that had to do with the snow. 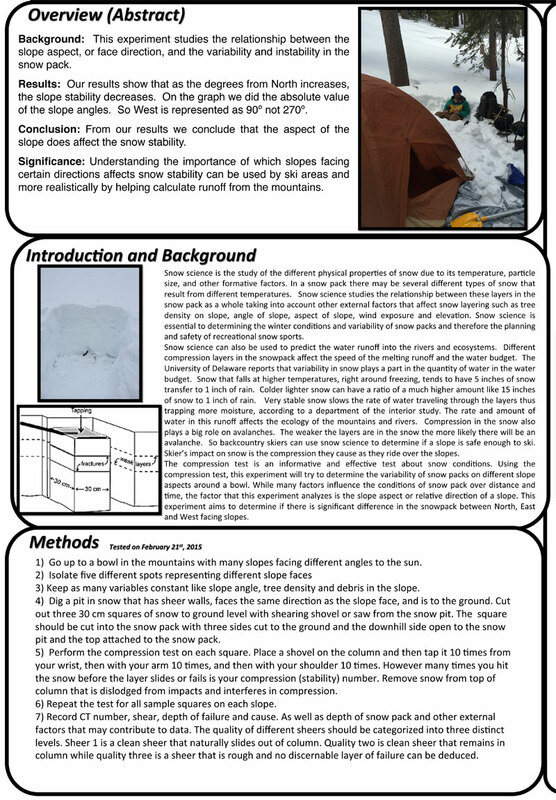 Snow stability was the topic we chose to research. In the end we found it to be very interesting and the view around Williams Lake in winter was absolutely amazing. 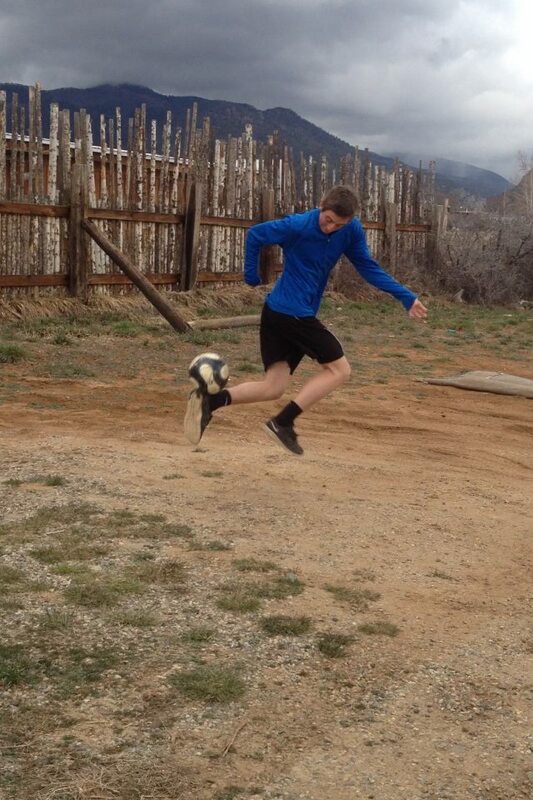 Ian Sanderson is an avid skier and soccer player and a recent graduate of Taos high School. In the fall of 2015 he will begin attending college in Washington DC, where he plans to continue his environmental research.